With great sadness, we have to announce that Rein Ahas, 51 (Dec 10, 1966 - Feb 18, 2018), professor of human geography at the University of Tartu, has suddenly passed away. On 26 January 2018, representatives of 40 cities sat around the table at the Innovation and Networks Executive Agency (INEA) in Brussels with industry representatives and experts to ensure that the ½ billion euro invested by the Commission through the Horizon 2020 programme generates returns. With the beginning of 2018, Vitoria Gasteiz’s implementation of SmartEnCity project has been chosen by the Basque Government as one of the “10 flagship projects of 2017” within the regional Research &Development plan “Science, Technology and Innovation Plan Euskadi 2020 (PCTI)”. On 24 January, the City of Tartu concluded a contract with AS GoBus, winner of the bus procurement. In a few weeks, the retrofitting works planned within the SmartEnCity project will start in Lighthouse City Vitoria-Gasteiz. 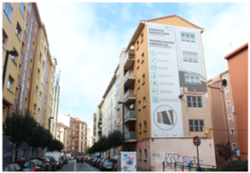 The implementation phase of the project in Coronación neighbourhood from Vitoria Gasteiz has begun in past November 2017, with the license request to enable retrofitting works start on Eulogio Serdán street 4 and 8, the first community to join the project as so called“early adopters”. 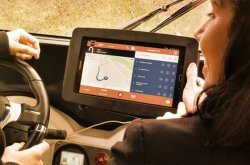 Vitoria-Gasteiz implemented a new concept of sustainable and interactive tours, driving an electric vehicle and exploring the city with a virtual guide. In December, the City of Tartu replaced 320 existing sodium lights in the city centre area of Tartu with energy efficient LED lighting. The new lighting together with the traffic and environmental sensors form a smart street lighting network. SAB has finalised the renovation of its social-housing in Sonderborg. Now the second of three housing associations in Sonderborg has completed the retrofitting works as part of the SmartEnCity project. And the winner is…Tartu ! 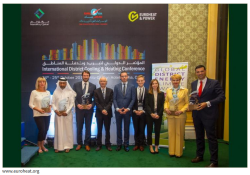 In autumn 2017, Tartu not only received three out of ten prizes in "Energy action of the year 2017" but also the "Global District Energy Climate Award", which is a big success and rewarded Tartu's efforts in the field of district heating and cooling. 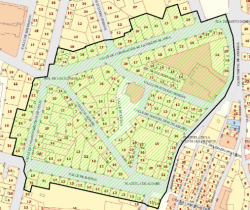 The City Council of Vitoria – Gasteiz, VISESA, EVE and GIROA presented on December 5th an update of SmartEnCity project citizens’ adhesions data for the refurbishment of Coronación district.